More than 1 billion people around the world live without access to electricity, and in many communities, health clinics don’t have reliable power. To achieve sustainable development, we need sustainable energy. In recent weeks, energy has been talked about in several global conferences – including the World Health Assembly and the Sustainable Energy for All Forum – as a key to achieving the Sustainable Development Goals (SDGs). The discussions have been about more than just SDG 7 on universal access to clean and affordable energy, but about how energy can help achieve the broader SDG agenda, from health to education to prosperity. Health, in particular, is an area where energy can help drive important progress. To help do just this, the UN Foundation, at the request of the UN’s Sustainable Energy for All initiative, launched an effort in 2013 to build evidence and knowledge about the importance of energy to health care delivery. 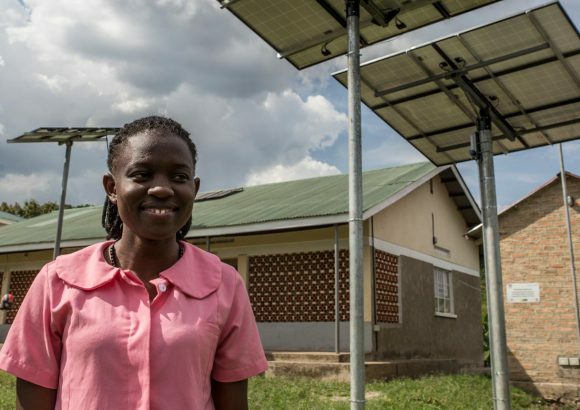 Among our efforts, we initiated a pilot project in Uganda and Ghana where we are demonstrating innovative clean energy solutions for health facilities – specifically, using solar power to electrify health clinics. 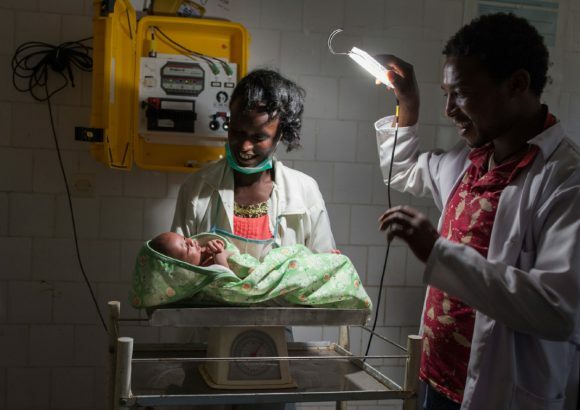 The impact of electrifying health facilities goes beyond the health clinics themselves – mothers can safely deliver their babies under the care of qualified staff, health staff can use modern medical equipment, families can stay healthy from vaccines and other health clinic treatment. In February of this year, we reached an important milestone: the 62nd and last health clinic under our pilot project was equipped with a holistic solar photovoltaic solution. The multi-year project, which is being implemented with the support from the U.K. Department for International Development, has now solarized 36 rural health facilities in Uganda and 26 in Ghana. The project is demonstrating new and innovative ways of powering health facilities that can inform and inspire action toward the SDGs. At the Sustainable Energy for All Forum, we highlighted the impact power can have on health service delivery with a screening of a new video that shares the story of Phoebe Akiiki, a midwife and assistant-in-charge at Kigambo Health Centre in western Uganda. Interviews with clinic staff, health ministry representatives, and implementing partners showcase the significant impact that powering health facilities can have not only on patient care, but on quality of life for staff and their families. This year, we will continue our work to better understand the linkages between electricity access and health care. In partnership with the World Health Organization, we are commissioning new research on the impact that electrifying primary health care facilities has on the availability and quality of health services, particularly for women and children. To share this knowledge and other resources, the newly-developed website www.poweringHC.org will serve as a resource and a hub for practitioners interested in the nexus of energy access and health care, with a focus on knowledge-sharing and advocacy for access to energy in the health sector. And we will, of course, continue to grow and strengthen the expanding network of actors in this space through our support of global convenings such as the Sustainable Energy for All Forum that are shedding light on the critical importance of power to delivering essential, quality health care for all.